With African Swine Fever (ASF) currently threatening indigenous livestock in Eastern and Central Europe, specialty chemicals company LANXESS offers swine producers the proven broad spectrum virucidal disinfectant Virkon S for ASF biosecurity prevention and control measures. 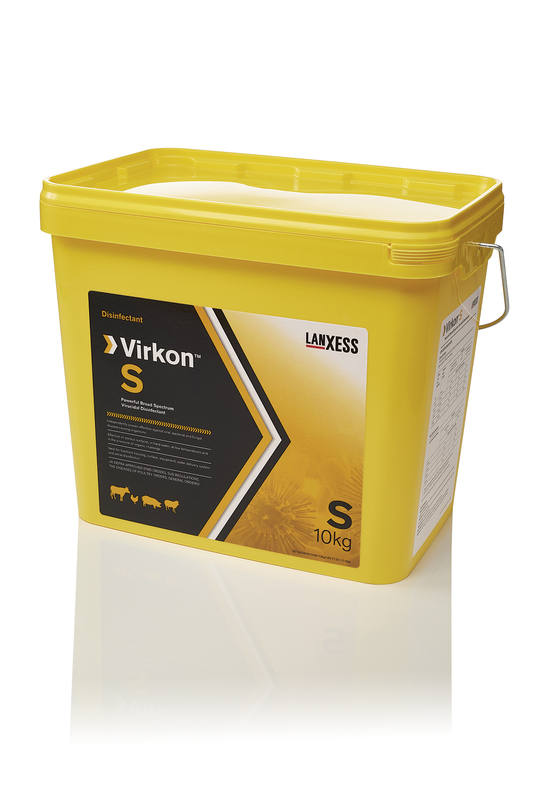 Having been independently tested for virucidal efficacy against ASF, Virkon S is proven to be effective against the virus at a dilution rate of 1:800, in the presence of organic challenge and at low temperatures (down to 4 °C) reflecting its proven performance and suitability for real world “on farm” conditions. [passus with reference to the name of the institute deleted on September 25, 2018]. “In addition, LANXESS is offering swine producers timely advice on the clinical symptoms of ASF and guidance on implementing enhanced biosecurity protocols across the range of possible infection vectors, including wild boar and other animals, transport vehicles, housing facilities and personnel,” explains Stephan Cho, Head of Market Segment Disinfection in the Material Protection Products business unit (MPP), at LANXESS. “Virkon S is a scientific breakthrough with performance characteristics that have defined biosecurity standards for over 30 years, making it the disinfectant of choice for swine housing, surfaces, equipment and footwear. It is especially effective in combating the spread of disease via transport vehicles,” says Cho. ASF remains a serious threat to swine producers, resulting in high levels of mortality and morbidity across European swine herds. With no effective treatment or vaccine available, veterinarians are recommending enhanced biosecurity measures and advising swine producers to urgently review and tighten their biosecurity protocols. Regarded as one of the most potent virucidal disinfectant agents, extensive investment to assess the safety of Virkon S shows that operators have no need for excessive personal protection during biosecurity procedures. For more information and details on Virkon S and biosecurity protocols please visit www.virkon.com. LANXESS’s MPP business unit is part of the company’s Performance Chemicals segment, which generated sales of EUR 2.1 billion in 2016.